Experts are making some big claims about the future impacts of driverless cars. Before they arrive, check out our comprehensive pros and cons list. The reality of autonomous cars may still be a way off, but they do seem to be an inevitable factor in our future transport systems. A survey conducted by Budget Direct Motor Insurance has revealed that over half of Australians think that autonomous cars are a dangerous idea and that they wouldn’t use one when they became available. But we won’t know the full repercussions of autonomous cars until they are actually in operation on our roads and rails. One thing that is clear, is that there will be long reaching implications for all kinds of people and industries. We’ve made a comprehensive list of the potential pros and cons of autonomous vehicles once they are rolled out. Once autonomous cars are fully integrated within our transport systems, experts project that the economic benefits to society will be vast. Road crashes cost Australia an estimated $27 billion per year, so even a 5% decrease in the amount of crashes will save millions of dollars for the country each year. 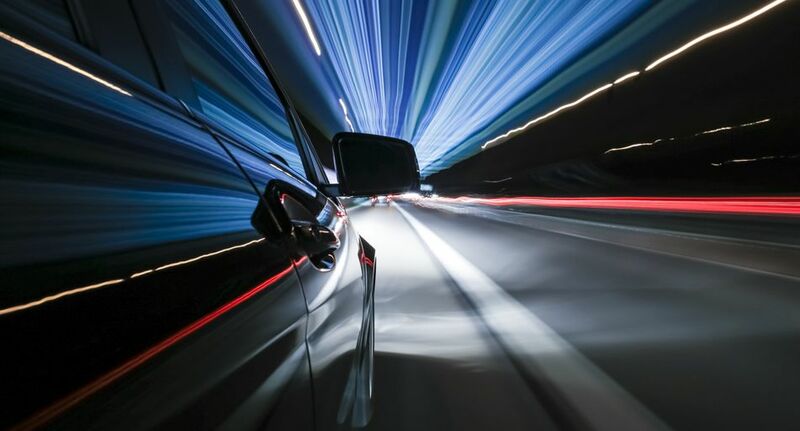 An estimated 90% of all road fatalities are attributed to human errors such as speeding, drink driving and distractions occurring within and outside the vehicle. 1.3 million people are killed worldwide every year, and over 1000 people in Australia alone. By removing manual driving controls from humans, autonomous vehicles would eradicate all fatalities involving human error. There are many people in Australia who have restricted mobility as a result of age or disability. With fully automated cars, there will be no need for drivers’ licenses or tests meaning that people who have been considered a driving risk in the past will have access to driving technology without putting themselves or others in danger. With autonomous cars able to sense other cars around them and communicate with them, bumper to bumper traffic jams should be a thing of the past. Automatic braking functions will not only prevent nose-to-tail crashes but will also allow driverless cars to travel at consistent distances from one another. Speed limits will also be increased as the likelihood of vehicles crashing will be greatly reduced. Many of the companies looking to implement driverless cars are doing so with the aim to use electric vehicles rather than hybrid or regular vehicles with combustion engines. Using electric vehicles would reduce the amount of emissions being released into the atmosphere. Excessive speed, braking and re-accelerating all release large amount of emissions from a car. Because autonomous cars will travel at consistent speeds and distances from one another, there will be a reduced need for braking and re-accelerating. Driving can be an enjoyable exercise but for the majority of car users, the time spent in the car is a necessity not a fun activity. Commuting to and from work and running chores and errands seem to make up the majority of time spent in cars for the average car user. With autonomous cars, the time spent paying attention to the road will be freed up for a variety of other pursuits, such as sleeping, watching tv or catching up on some work. Depending on how popular driverless vehicles become, the number of vehicles on the road could increase. People who were previously restricted from driving may now have the opportunity to use cars as a means of transport, meaning that the number of vehicles in circulation could inflate dramatically. Like all computer systems, autonomous cars would be programmed to run a certain way, but with all automated systems there is always a risk of the computer being hacked or crashing due to a glitch or error. No system is infallible and if a hacker was able to get into the car’s software, they could potentially reprogram the car to do any number of things. Sometimes there are no good choices for a driver to make. For instance if a person suddenly walked out into the road right in front of the car, this would leave no time for the car to apply the brakes before a collision occurred. The driver might then have the choice of either hitting the person or swerving the car off to the side into a concrete barrier while travelling 70 km an hour. Moral machine is an interactive that demonstrates the difficulties of choosing between terrible options just like this one. The question of what actions a driverless car should be programmed to make in this instance is one that leaves everyone feeling divided. There are some people that are dreading the takeover of autonomous vehicles. This includes those that make their living operating transport vehicles. Replacing human controlled driving will see these people in need of new employment. People who drive taxis and ubers or who work as delivery drivers for fast food industries would all be affected. Truck drivers transporting goods cross-country will also have their livelihood impacted by the coming changes. As with any new technology that has taken years to develop and make, the costs of autonomous cars is likely to be astronomical at first. There are some estimates that costs could be upwards of $100-300,000. It will likely be some time before the technology has developed enough to become available for the average Australian. As the projections for most of the improvements autonomous cars will have on the environment, economy and lives saved come from a fully integrated system, it may take some time before we see the expected benefits of the technology. While there are still non-automated vehicles on the road interacting with autonomous vehicles there are bound to still be accidents. If there comes a time when 100% of the vehicles in our transport systems are automated there are definitely some people who will be disappointed. Those that love to drive recreationally and find the activity engaging will be missing out. There are also some implications that we won’t be able to predict until autonomous cars are actually in circulation. When drivers are no longer in control of the vehicle, what happens in the event of a collision? Who is at fault and who pays for the repairs? The car manufacturers or the drivers? At this stage the laws in Australia state that an automated driving system cannot be classified as the driver of an AV and the driver of any autonomous vehicle will be held responsible for any incident that may occur while in control of the vehicle. The implications autonomous driving will have on insurance matters and legal outcomes of accidents is just one grey area to be explored as we move towards a more automated future. Disclaimer: This survey was conducted by Pure Profile on behalf of Budget Direct in May 2018. All figures are from this research unless stated otherwise. The survey was conducted online with a total sample size of 1,000 weighted and representative of all Australian adults (aged 18+).